The St. Vincent de Paul Kitchen is located in the city of Wilkes-Barre, Pennsylvania and currently serves more than 300 people daily in the Wyoming Valley. Providing a hot meal to the people who need it most, the St. Vincent de Paul Kitchen operates on its donations and the help of volunteers. More than just a place for dinner, the kitchen also offers lunch services, access to a food pantry, clothes distribution and much more. In 2011, Sundance Vacations’ owners John and Tina Dowd donated a record $50,000 to the soup kitchen. This was the largest donation ever received by the kitchen in their service of over three decades. Sundance Vacations chose to give to the soup kitchen because the money is directly passed on to those who need it, in the form of meals. 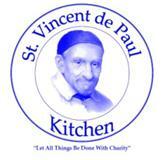 St. Vincent de Paul Kitchen serves anyone in need of a meal without question or restrictions to guests. Be sure to keep up with news from Sundance Vacations on St. Vincent de Paul Kitchen or other charities and click the DONATE button above to join the effort! Sundance Vacations and its employees are strongly dedicated to the idea of giving back to their communities. Following the example of the company’s owners, John and Tina Dowd, the entire company has donated money, effort and time to a number of charities both nationally and locally. Want to hear what real travelers think of us? How are we being recognized? ©2005 - 2014 Sundance Vacations Charities. All Rights Reserved.